Statement jewelry has come a long way in the past few years, especially price-wise. You used to have to spend a fortune on cocktail jewelry but now many designers are developing beautiful pieces at a better price point. These pieces, for example, look very high end but are very attainable for those with a low budget. Can you guess what designer these are by? You may have guessed DANNIJO or Tom Binns, but these are actually by Ann Taylor and all under $100! Click the links below to buy these and other affordable statement pieces to add some sparkle to your year-round wardrobe. 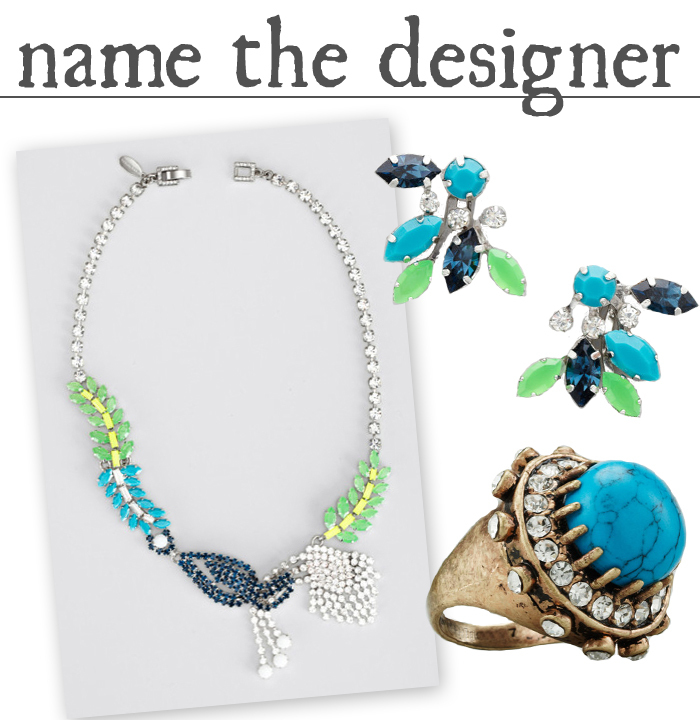 Necklace, Earrings and Ring all by Ann Taylor.